January 31st marks the Chinese New Year for 2014. It is the Year of the Wood Horse. Horses are active and yang. They are quick and full of energy. Pair this with the element Wood and prepare to hang on. Wood is the element of movement and growth. It also governs new beginnings, the liver, and the color green. The last two years have been about cutting away that which no longer serves you. The Metal Dragon and Water Snake years were about soul searching and carving out who are and are not. There has been deep digging down into our depths and dredging them out. It has been a time of stillness. Outward movement has been hampered and humbled. As we come out of that phase, the change to such yang energy might feel abrupt. Expect the unexpected. Projects that have been on hold might begin to move, and fast. This is great time to introduce some liver cleansing exercise and foods into your life. The Wood Element governs the liver and the smooth flow of vital energy in the body. If the Qi is stuck and not flowing properly one might experience headaches, irritability, body pain or fatigue. So get out and move to welcome the Green Horse! Try our Long Life Kelp Noodles for a special New Years treat. 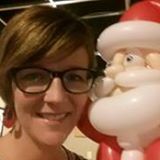 Lindsey Lawson MS EAMP is an Acupuncturist, Chinese Herbalist and Clinic Director at Glow Natural Health and Seattle Fertility Acupuncturist. She is passionate about healthy, happy living, food and is a regular blogger. For an appointment call Glow at 206 568 7545. 2014 is the Year of the Wood Horse. Long noodles are eaten for the Chinese New Year to symbolize long life. The kelp noodle are an unexpected gluten free twist to this healthful dish. Saute garlic and ginger in 1 tablespoon olive or coconut oil on medium heat for 1 minute. Add mushrooms, bamboo shoots snow pea pods and cook until the tender and bright green. Add the washed noodles (ok if they are wet) 2 tablespoons of Braggs or Soy sauce. Stir, shut off heat and cover for 1min. Toss again adding spinach if you like along with Toasted Sesame Oil and more Braggs or soy sauce. Garnish with chopped Green onions and cilantro. Serves two. MTHFR and methylation defects: Help with heart health, depression, fibromyalgia, chronic fatigue, migraines, toxicity, and cancer prevention? It’s hard to find a clear explanation of methylation defects out there. This is because they are only just being recognized (though NDs have been trained about this for years) and it’s also quite complicated. Methylation can be thought of as activation. So, while vitamins are cofactors for numerous actions in the body, many of them need to be methylated (activated) in order to work. We all have gene mutations that we don’t know about and one of those is a possible defect in activation of folic acid, or MTHFR defect. About 50% of people seem to have this (think about the common knowledge of folic acid deficiency and neural tube defects in babies). • When we don’t activate folic acid well, this leads to a buildup of homocysteine, which is associated with heart disease. • Research has shown that treating those who have genetic defects in methylation can help with depression. • Defects in methylation have also been associated with pain syndromes such as fibromyalgia and chronic fatigue syndrome. Methylation helps to make the myelin sheath on nerves, the equivalent of wire coating. Defects in methylation can lead to increased pain sensitivity. • Methylation is one way that the body detoxifies (gets rid of toxins). When we give the activated forms of the vitamins, we can start detoxification pathways that have been sluggish for a long time and therefore experience side effects. • Another place that methylation works is in DNA repair. Our DNA breaks and is repaired all the time. Cancer happens when DNA breaks and isn’t repaired properly. So, proper methylation can help to prevent cancer. It’s important to remember that this is not the answer for everything. Just because you have the genetic defect doesn’t mean that you will actually have the problem. In addition, we need to factor in things like other genetic defects, hormone imbalance, thyroid and adrenal function, toxicity, gut health, blood sugar balance, nutrient deficiencies, and mental health needs. Side effects of methyl folate without necessary cofactors can include aches, headaches, insomnia, irritability, acne, skin rash, anxiety, and nausea. It is important to take dosing slowly; the proper schedule can take months. Side effects can be due to improperly pushing detoxification or to other genetic defects not being accounted for. Other possible genetic defects include trouble breaking down homocysteine, trouble breaking down the brain’s adrenaline, trouble processing serotonin (involved with mood), trouble processing B12, trouble with other liver detox pathways, trouble making the calming brain chemical GABA, and trouble breaking down histamine (involved in allergies and brain stimulation). Because of the complicated nature of these issues, it is best to approach them with a provider who is trained in this area. I do genetic and/or blood testing and interpret the results in the context of your whole health picture as we take a comprehensive approach to your treatment plan. Trained as a family practitioner to address acute and chronic conditions, Dr. McNaughton focuses on autoimmune disease, allergies, and digestive issues. She facilitates healing as a knowledgeable guide and partner, helping her patients make lasting changes and achieve health goals. She graduated from Bastyr University in 2003. Dry body brushing is a cleansing practice that allows us to sluff off what we no longer need. This physical and symbolic daily cleansing can help you process and release experiences that feel “stuck” in your body. The skin is the largest organ in the body and is responsible for one-fourth of the body’s detoxification each day, making it one of the most important elimination organs. Toxins can gather beneath the skin’s surface from such common influences as soaps, skin creams, deodorants and our environment. When you dry skin brush, you stimulate the lymphatic system to cleanse itself of the toxins that collect in the lymph glands. You can use this ancient yet simple technique to improve the surface circulation of the skin, keeping the pores of the skin open, encouraging your body’s discharge of metabolic wastes, and resulting in an improved ability to combat bacteria. Stimulates the glands, thus helping all of the body systems to perform at peak efficiency. Use a long handled, natural bristle brush so as not to irritate the surface of your skin. Brush before showering. Start at your ankles and use long sweeping, circular strokes and guide the brush up towards your liver (lower right side of your abdomen). Next, brush across your stomach, chest, back and buttocks. Lastly, brush your arms, always bringing the brush to “dump” toxins at the liver. Use circular strokes around the joints. Consider this technique part of your gentle, self-care routine. Breathe deeply to make it a moving meditation. Any physical practice becomes more effective by intentionally using your mind to enhance the positive benefits. Think about any thought patterns, habits or experiences that you would like to let go. Allow them to clear out as you body brush. It’s an invigorating and gentle way to start the day. Enjoy! Nicole Perriella is an Ayurvedic Health Coach and Hatha Yoga Teacher at the Glow Natural Health Center in Seattle, WA. Through diet, lifestyle, herbs, yoga, meditation and pranayama, Nicole guides clients to correct imbalances to look and feel their best. Her writing has been featured on Seattle Seedling, Ayurveda Apothecary and Everyday Ayurveda. Find her at www.nicoleperriella.com. 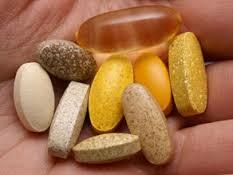 Recently, attention has been drawn to some studies questioning the value of vitamins and minerals. This comes mostly from a few recent studies: one showing modest prevention of future heart events after someone has had a heart attack, one showing no improvement in brain function in elderly men after taking Centrum, and a third looking at prevention of cancer and heart disease showing mixed results. One problem is that there are recent studies showing a protective effect that were not included in these reviews. The vast majority of studies on multivitamins use Centrum which is low dose, has poorly-used forms of the nutrients, contains chemical binders, and whose ability to dissolve has been questioned (though improvements have been made). I have been shocked at the poor design (form, dose used, not distinguishing between food and supp sources) of some supplement trials. This poor design would never be tolerated in a trial of a pharmaceutical. Also, no one is saying, “Here, take this multi to prevent your heart attack!” I would be a terrible doctor if that was all that I discussed with a patient after heart attack. While the studies on Centrum have shown little to mixed benefit, solid scientific research on nutrients *abounds*, so statements that supplement use is not scientifically based are unfounded. Further, when used in conjunction with someone trained and who understands the science, therapy beyond correction of deficiency comes into the process. For example, B12 is used for energy production, vitamin C stabilizes cells to minimize releasing histamine (involved in allergic response), magnesium is a muscle relaxant, etc. The nutrients are cofactors for every reaction in the body. So, keep researching, tell it like it is, and be careful about blanket statements.